Remote Sensing is undergoing a major shift towards ubiquitous data collection and availability, increasingly through open access. While collection frequency bodes well for future monitoring cadence, archival images collected over the past decades remain difficult to work with due to pre-processing that’s required to refine raw data into calibrated, precisely aligned image stacks. 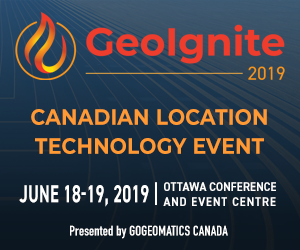 Find out what PCI Geomatics is doing to create technology that allows the automatic preparation of Analysis Ready Data that can populate an Open Data Cube. 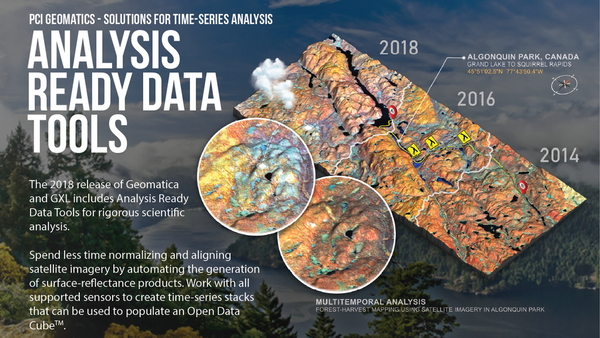 Custom algorithms or off the shelf applications such as Water Observation from Space (WOfS), or Continuous Change Detection and Classification (CCDC) can be deployed to answer key questions such as spatial and temporal flooding extent signatures, or permanent land changes occurring due to vegetation breaks. Additional innovations and updates on PCI Technology will be presented. We hope that you are able to attend. Please RSVP.